Hardap Resort is next to the Hardap Dam. The Resort is next to the dam and just outside Mariental. This property is a new build, and the renovations were ready for the opening in 2016. It is a favourite weekend break way for local Namibian citizens and boasts an array of water activities. Hardap is 260 km south of Windhoek. 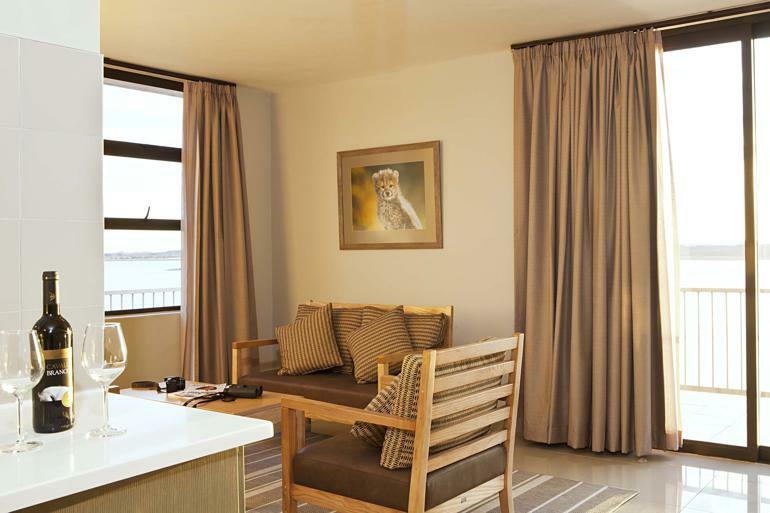 The Hardap Resort encompasses Namibia’s largest dam. The Hardap, which is on the Fish River although the first investigations were as early as 1897. Construction commenced in 1960. The dam completion was in 1963. It has a capacity of 320 million m3 and a surface area of 25 km2. 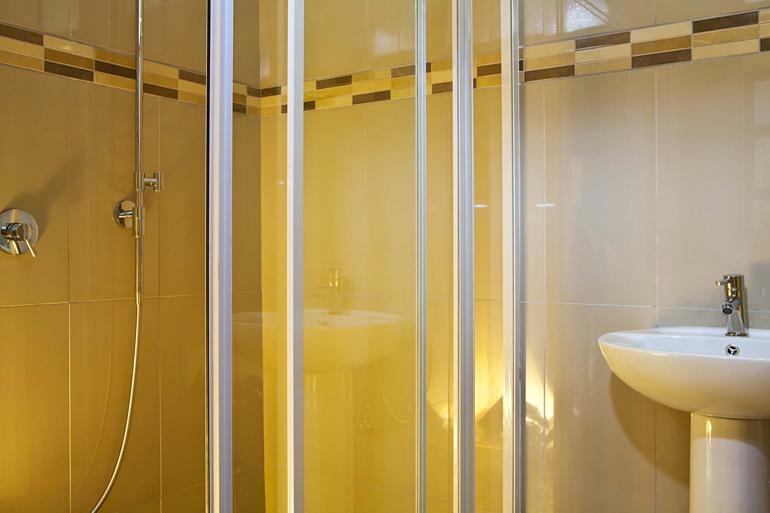 There is a variety of accommodation options at the resort. 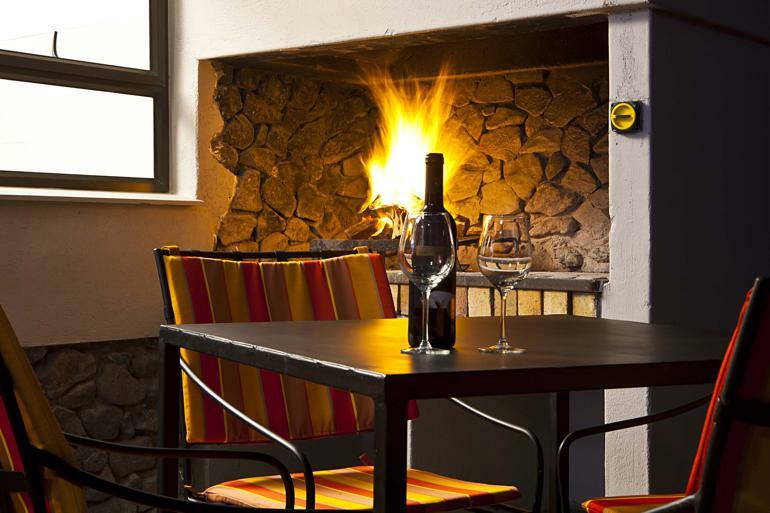 The Rooms consists of VIP rooms, family and bush chalet. There are even dormitory rooms and camping sites. Other amenities and facilities include a swimming pool, conference facility, restaurant, and shop. Hardap is well known as an angler’s paradise. There are annual fishing competitions for enthusiasts. But few know that the small Hardap Game Reserve is a haven for black rhino. The dam and surroundings accommodate one of Namibia’s most strategic great-white-pelican breeding colonies. The Hardap also has a thriving freshwater fish institute that is supporting the country’s growing aquaculture industry. 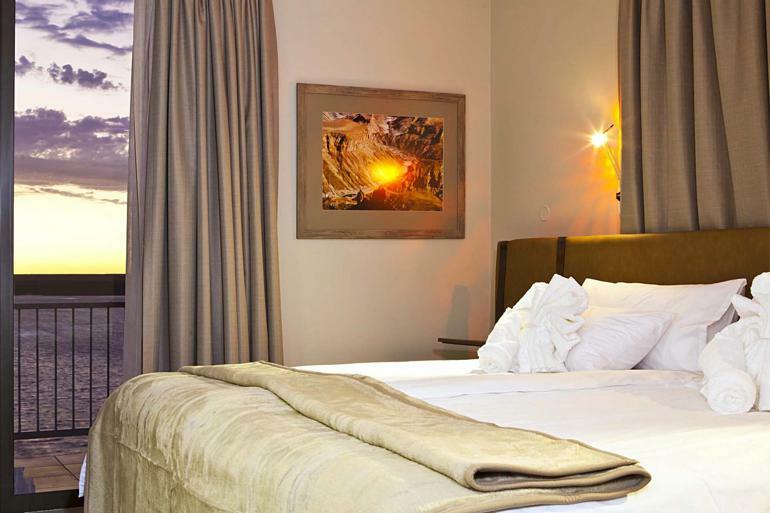 The Hardap Resort is a comfortable overnight and Multiday Visit for travellers coming from Southern Namibia. There are Excellent views over the Dam. 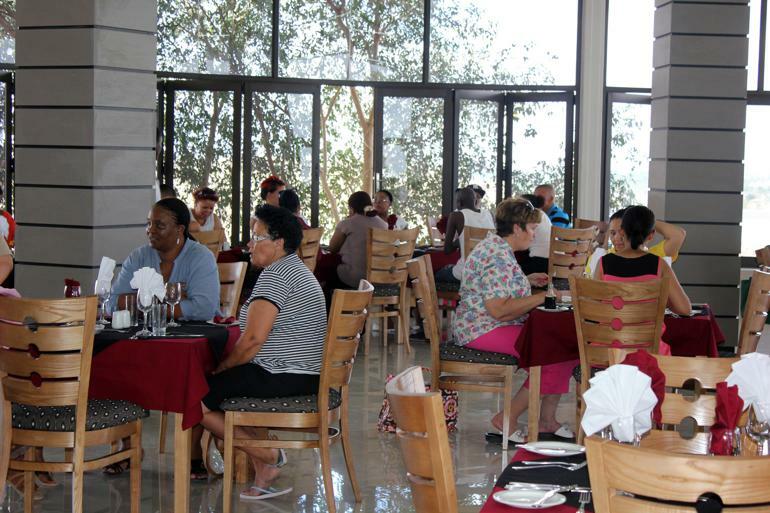 A restaurant is available at Hardap Resort. 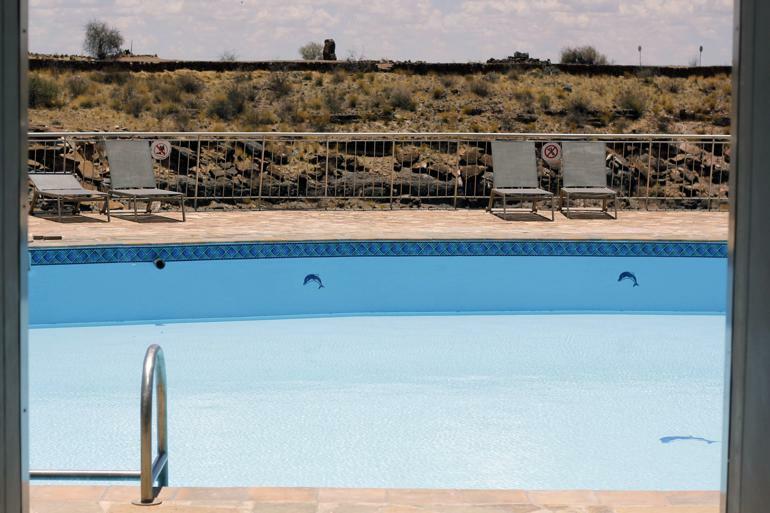 There is a comfortable swimming pool at Hardap Dam. 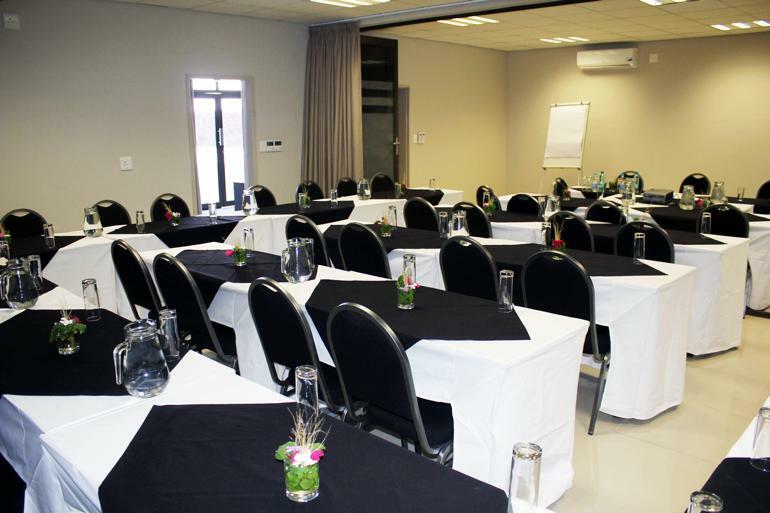 There are conference facilities at Hardap Dam. Game Drive in the Game Reserve.